On the air of one of the Ukrainian television channels Pavlo Klimkin, Ukrainian Foreign Minister, stated that a biometric visa regime for citizens of the Russian Federation can be introduced in Ukraine, in case if biometric control, advance notification on the trips to Ukraine and the border control would not work. "First of all, biometrics, then the statement that they are to arrive in our territory, the third is control in our territory... 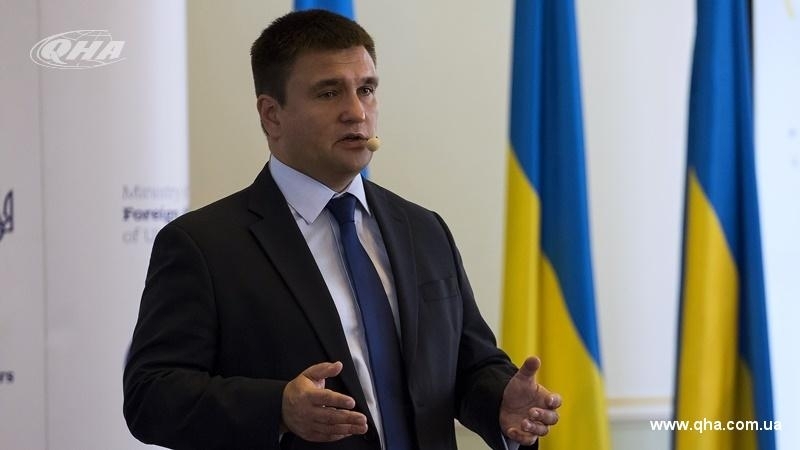 If these three stages would not work, then we need a visa regime, but of biometric type," Klimkin stated. Klimkin went on saying that the usual visa regime was only needed to counteract illegal migration. Earlier, QHA reported that Petro Tsyhykal, the Head of State Border Guard Service of Ukraine, stated that all the checkpoints on the border with the Russian Federation had been equipped with a biometric control system. He noted that the recording of biometric data on the Russian-Ukrainian border and at international airports was scheduled to begin on January 1, 2018.